PHARMACEUTICAL giant Bayer plans to sell its global animal health product business next year, in order to focus on ‘core business’ in the life sciences field. In a statement issued today, Bayer said it was ‘assessing available sale options’. 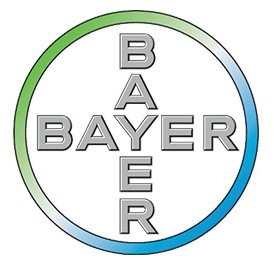 “Although the animal health unit offers growth options in an attractive market, Bayer intends to allocate the investment resources necessary to support Animal Health to its core businesses of Pharmaceuticals, Consumer Health and Crop Science,” the company said. The company’s animal health division could be worth up to 7 billion Euros (A$11 billion) and accounts for about 4.5 percent of group revenues. Bayer Animal Health markets a range of popular cattle production tools in Australia, including Bayticol cattle dip and spray, Cylence and Patriot insecticidal eartags, Trisolfen topical anaesthetic for pain relief, flukicides and other pour-on and injectable external parasite control products. The company plans to cut 12,000 jobs globally – almost 10 percent of its global workforce – as part of a rationalisation, following its merger with Monsanto. Around 4100 of those positions will be lost in the company’s Crop Science division. Werner Baumann, Bayer’s chairman of the board of management, said the measures would ensure the business was sustainable. “With these measures, we are positioning Bayer optimally for the future as a life science company,” he said.